Whether you’re happy or not about it, you’ll be seeing quite a few Dr. Manhattans and Rorschachs this Halloween. Yes, Rubies Costumes, will be releasing the licensed movie costumes, accessories and masks based on the character designs from the Watchmen movie. That’s right, you spent months designing and building your own Comedian costume and now some putz who has $60 can look almost as good as you do at Wonder-Con. Sorry dude. Costumes for each of the main heroes will be available and will include, Nite Owl II, Rorschach, The Comedian, Silk Spectre II and Ozymandias. Since there’s not much costume for the the naked Dr. Manhattan, they will offer a full face mask and hands that will help you transform into the Doc. 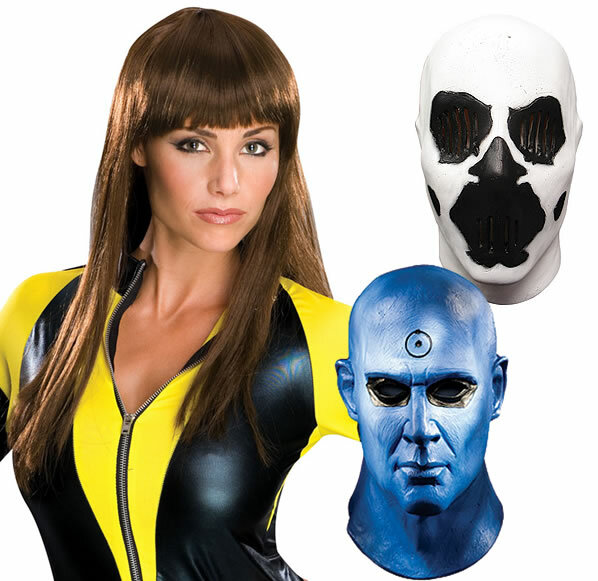 Other items include Silk Spectre wigs, Rorschach’s gloves, hat, and mask, as well as Nite Owl II’s gloves and cowl. Many of these items come in “economy” and “deluxe” versions and range in price from $13 to $40. 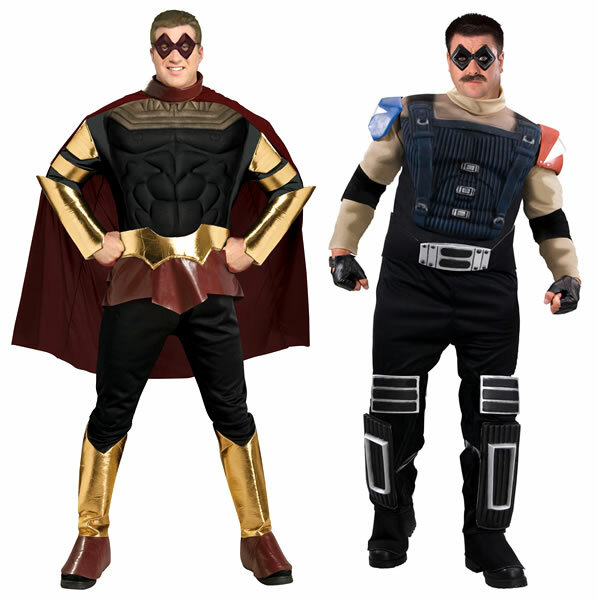 The full costumes will set you back around $65, and come with everything you need to become your favorite Watchmen heroes. I’m not sure if I’ll be getting any of this stuff for myself to wear this Halloween, but I will be buying the Silk Spectre II costume for my wife for “personal” reasons. 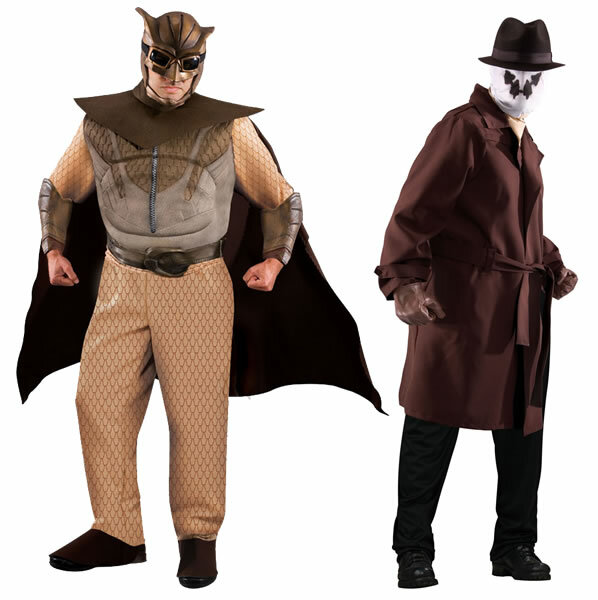 You can find links to buy all of the Watchmen costumes and Watcmen costume accessories right from our Halloween Costumes page.